Can Old Magazines Be Valuable Collectibles? 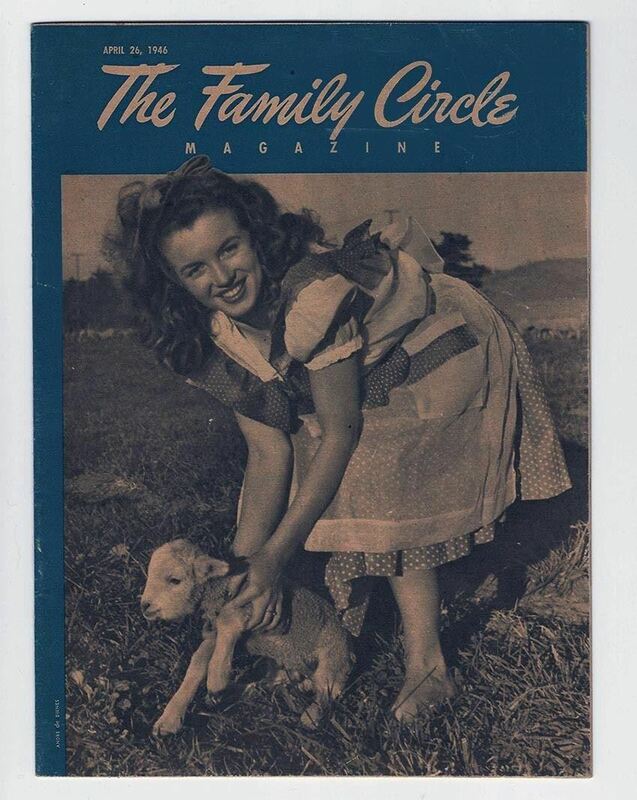 Family Circle - 1st Norma Jean (Marilyn Monroe) National Cover - April 26, 1946. Did you know the first American magazine was published in 1741? The General Magazine, co-published by Benjamin Franklin, consisted of just six issues. Even though that first magazine didn't stay around for long, the concept certainly did. There are literally thousands of magazine titles scattered about newsstands each month and this trend has lasted for decades. Now, apps like Texture make reading current magazines an interactive experience on portable electronic devices as well. With so many issues produced, can a magazine ever really be considered collectible? The answer is yes and no. Some magazines are highly collectible, others are not. Many people assume that magazines related to important news stories or events are valuable because the topic is or was so important. For example, there are various magazines that covered the John F. Kennedy assassination. Although these magazines certainly fit into an interesting topical category and possibly one that remains quite controversial with varied conspiracy theories making the rounds, most of these Kennedy-related periodicals would probably sell for only $25 to $50 in excellent to mint condition through a paper collectibles shop or at a specialty show. If you're thinking that sounds rather low, consider a couple of factors before drawing a conclusion. First, these magazines cover a topic that shocked the world. It stands to reason that many, many people saved them. They're not going to be extremely rare or valuable. Secondly, as more and more people become aware of the value of collectibles through television shows about pawning, picking, and collecting in general, the chances that these will be thrown away narrows considerably. The result is that many remain in the marketplace and values rise slowly if at all. This is true for many historical events and applies to saving newspapers as well. The election of President Obama is an example of a significant story in the more recent past. So many people saved periodicals during this time, they might have sentimental value but they may never be worth much monetarily. There are some exceptions, so it is wise to research each historical magazine individually to rule out a rarity before determining whether or not an item is highly collectible. Most any older periodicals can have some value depending on how many people want it. As an example, to those who gather sports memorabilia, finding a copy of the first Sports Illustrated magazine published in 1954 can be a real treasure. They easily retail for thousands in excellent to mint condition. Most copies of Sports Illustrated, even those from other years during the 1950s, don't bring more than $20 in today's market. Those with popular sports figures emblazoned on a cover can fetch a little more. Magazines featuring Muhammad Ali, for instance, can be valued higher depending on the edition. Movie star fans look for magazines featuring their favorite stars on the front. Notables such as Elvis Presley and Marilyn Monroe usually bring from $25 to $50 or more whether it's on older Look or Life or a specialty movie magazine. Some can be worth much more. Consulting a price guide on paper collectibles or doing some research online is a good idea before selling a collection. For example, a certain Post magazine issue from the 1960s covering the Beatles can be worth as much as $40 or more while most others bring far less. What Are Magazine Covers and Ads Worth? "Golden Age" illustrators such as Harrison Fisher and Charles Dana Gibson drew beautiful covers that graced a number of magazines at the turn of the last century. These covers or others by Norman Rockwell or artists like Gil Elvgren can push the magazine into high dollar territory. Many eager decorators and collectors will pay $50 to $300 for a magazine cover if a noteworthy artist's signature accompanies the cover art. Sometimes removing the advertisements from magazines and selling them separately can be more profitable than keeping them whole. Collectors decorate their homes with ads featuring everything imaginable from automobiles no longer in production to popular food products depicted in vintage packaging. The prices on these single ad pages can often bring in as much as an entire magazine when marketed to the right person in the right venue. Other people look for older magazines for research. Those interested in vintage clothing and jewelry often employ fashion magazines, especially Vogue editions from the 1940s and 1950s, to learn about the styles and designers of yesteryear. Many fashionable periodicals from the 1960s on back currently sell in the $25 to $100 range. Which Magazines Are Dust Collectors? National Geographic is a common dust collector. Although this publication remains popular and noteworthy, especially in terms of its photography, there are just far too many lying around basements and stored away in closets to be worth much. But there is an exception. If you've got a few National Geographic issues from the 1950s and 1960s stacked up in the garage, check the back covers for Coca-Cola advertisements. Collectors will pay for those older Coke ads, especially the ones depicting Santa Claus in an endearing pose. How Will the Digital Age Impact Magazine Collecting? With digital publishing still being a relatively new concept, it remains to be seen how this medium will impact magazine collecting. Given the fragile nature of paper and magazines, these periodicals were never meant to be saved. Fewer and fewer of the older examples will survive as time passes. If you have a favorite magazine you have kept for sentimental reasons, you might consider holding on to it for a while longer. Print-based magazines may actually be a thing of the past one day and your speculation just might pay off. Do You Own a Valuable Cookbook? Would You Wear Jewelry Made from Real Butterflies?